An elegant addition to any outdoor living space. The Salemo Balcony Set includes two chairs and one storage table, all made of a durable, all weather-resistant resin that boasts a stylish wicker texture and smooth rezolith table top. The chairs come with soft cushions to help you lounge in style and in complete comfort. Perfect for compact areas, the set is lightweight and easy to assemble. The all weather-resistant resin makes the set maintenance free, as it will never rust, rot, decay, peel, or fade. 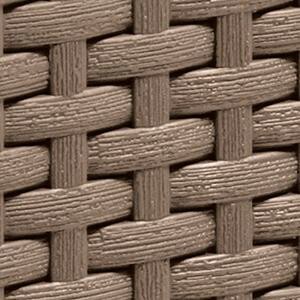 The elegant and stylish flat wicker texture will elevate any outdoor seating area. The convenient built-in storage space help you keep your outdoor space tidy. Easy to assemble without the need for any tools.